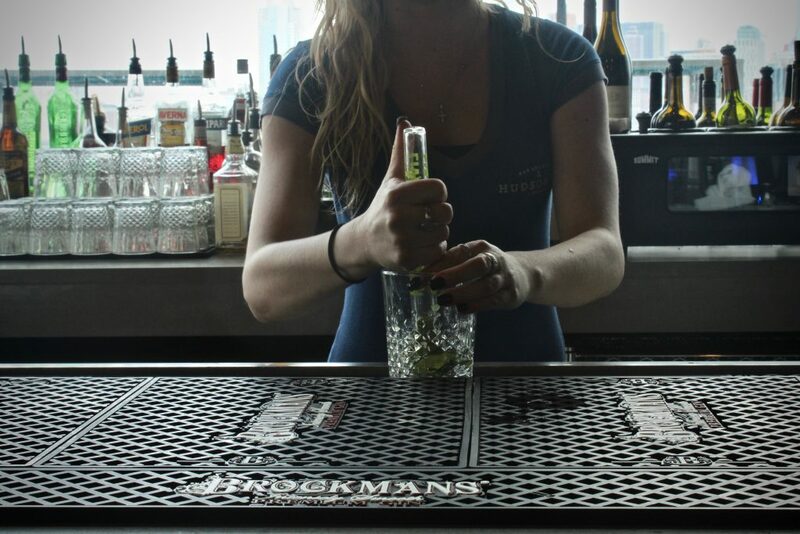 Sure, it is great to be in Manhattan, but every once in a while we love to pop on over to New Jersey and have a Brockmans on the other side of the river, while taking in the Manhattan skyline from afar. We are doing just that at Hudson & Co., an expansive, airy new restaurant with sweeping views of Manhattan and some great drinks. Accompanying us is General Manager Brian Niedswiecki, who, at one point, had a far different life planned for himself. He tells us how, as he was going through the police academy, he bartended at a handful of New York’s busiest and hippest clubs, where he would work until 5, 6 in the morning. Seeing as how Brian’s having a gin with us and not out patrolling the streets in the uniform, we have to know what happened. We can’t help but laugh. What timing… We’ve spoken with plenty of bartenders about the moment at which they realised this was a career, and not just a means to an end. But as of yet, nobody’s tale has involved prostitutes and a miserable doppelganger police officer. 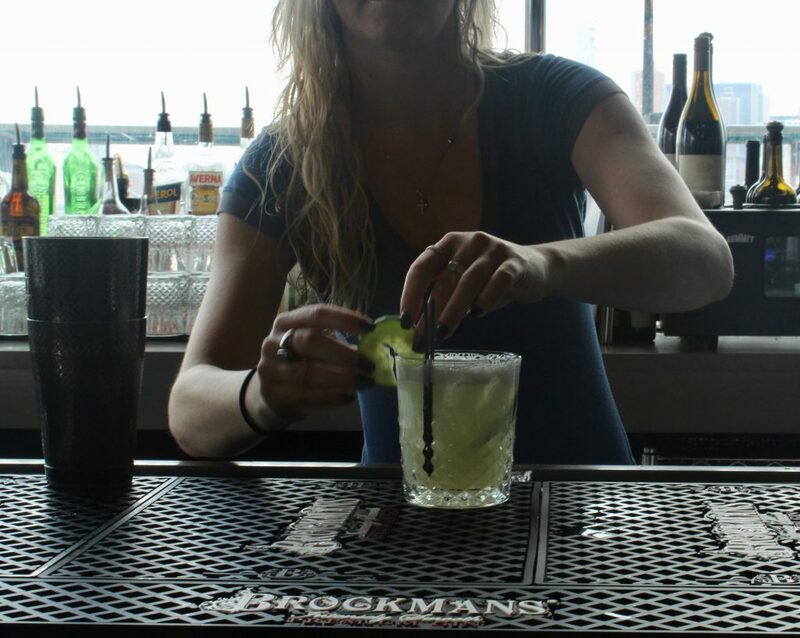 Meanwhile, bartender Jessica Wlazlowski, makes us Hudson & Co’s Brockmans cocktail, the “Cucumber Bliss.” This drink features muddled cucumber, which is a lovely compliment to the rich citrus and berry notes we know and love in Brockmans Gin. It tastes like summer, although we’re not quite there…yet. It is a fitting metaphor for the fact that we’re just across the river, looking at Manhattan but not quite in it. For Brian, who had been Manhattan-focused for most of his bartending career, living and working New Jersey has been a transition. Maybe we’re biased, but we’re already sold. 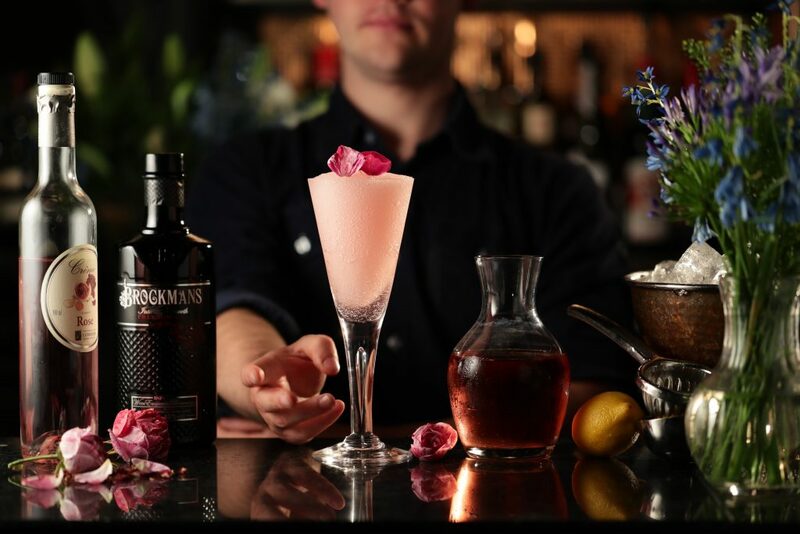 A crisp, refreshing, easy-drinking Brockmans cocktail and stellar views of New York? Absolutely. 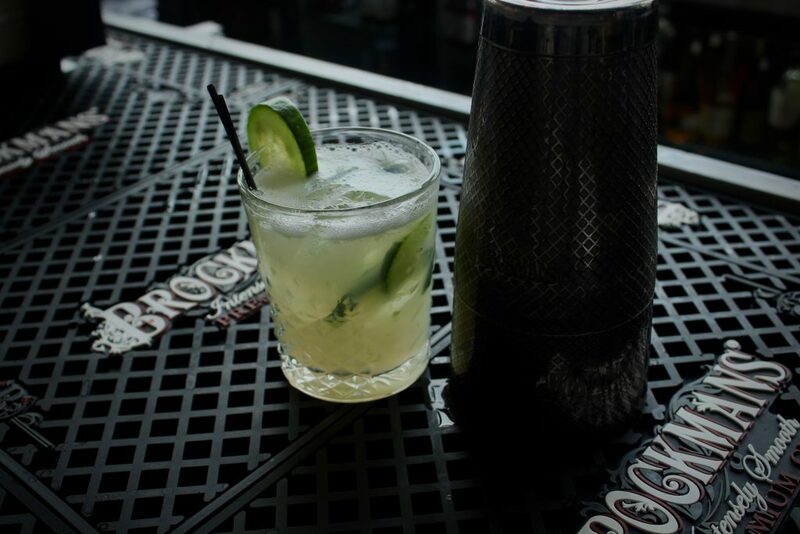 Muddle the cucumber medallions with the simple syrup at the bottom of a shaker. 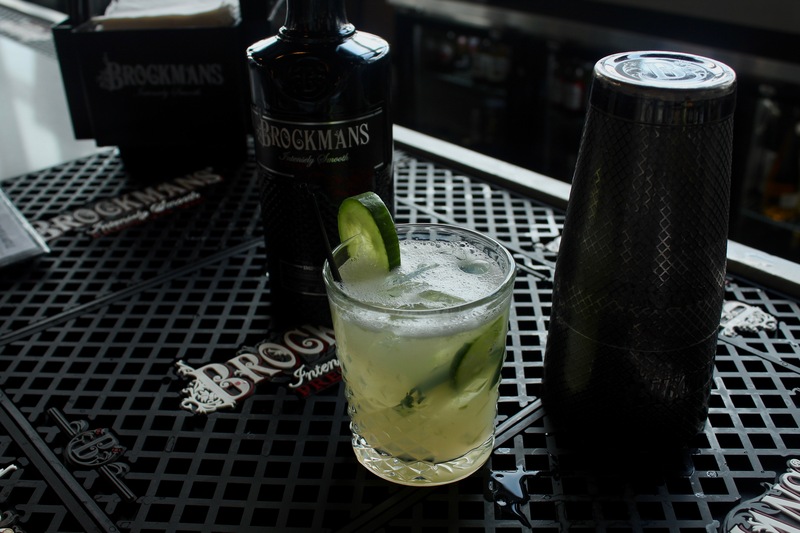 Add the lemon juice and Brockmans Gin, and shake vigourously until cold. Dump everything into a rocks glass, and garnish with a fresh cucumber slice.